Vehicles on beaches cause numerous deleterious effects to coastal wildlife. These impacts may, hypothetically, be lessened if drivers act to reduce disturbance. 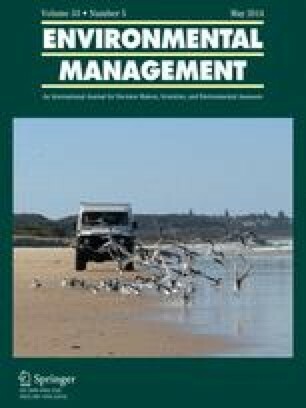 Since it is unknown to what extent such behavior occurs, and whether it can reduce disturbance, we quantified the behavior of drivers who encountered birds on open-coast, sandy beaches in eastern Australia and the consequent bird responses. Drivers of commercial tourist buses never slowed or altered course (“evaded birds”) to avoid disturbing birds; conversely, 34 % of drivers of private cars did evade birds. Drivers of vehicles with fishing rod holders tended (P = 0.09) to evade birds more frequently than non-fishing vehicles. Evasion, when it occurred, was modest, and did not significantly decrease the intensity of bird response or the probability of escapes on the wing. Voluntary behavioral adjustments to alleviate impacts on wildlife may be unworkable, suggesting that other solutions (e.g., beach closures) might be the only effective and feasible way to reduce disturbance to birds on ocean beaches. We thank the Queensland Wader Study Group for financial support for part of this work. This study was conducted under USC Ethics Permit AN/A/10/56.